“The Extraordinary Event of Pia H.” book launch on the 18th! 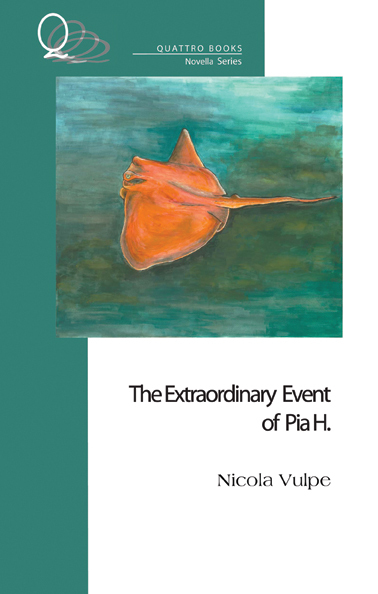 Nicola Vulpe will be signing copies of his new title, “The Extraordinary Event of Pia H.”, at Books on Beechwood. The event takes place on April 18th at 11am. The Extraordinary Event of Pia H. is superficially a tale of a wife gone missing from a Spanish plaza â€“ miraculously vanished into thin air, if two elderly doÃ±as are to be believed â€“ and a frantic husbandâ€™s search for her. However, within the storyâ€™s dense, dreamlike folds of shifting identities, questionable realities, and a cryptic parallel narrative, deeper and darker possibilities exist. Nicola Vulpe’s books are available to order through our online store.